Do you remember your favorite nursery rhymes? In most cases, they will be something out of Mother Goose stories, a classic collection of rhymes that shaped baby boomer childhood night times. Inspired by those memories, Mother Goose Baby Quilt features favorite nursery rhyme characters in quilted baby quilt that can also be easily used as a wall hanging. 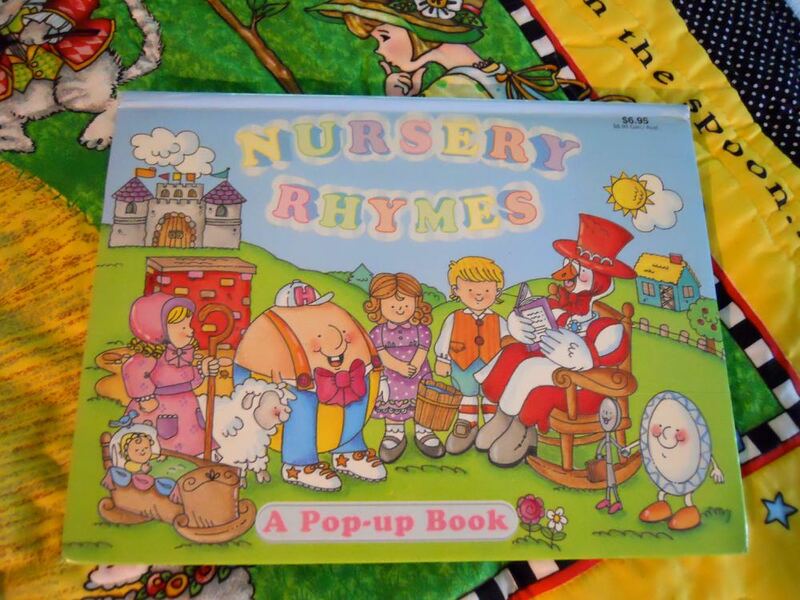 To keep the baby quilt company, I found a fun pop up book of favorite Mother Goose rhymes. Even with all of the social media and electronics, there still is something very comforting about curling up with a favorite blanket and a good book!